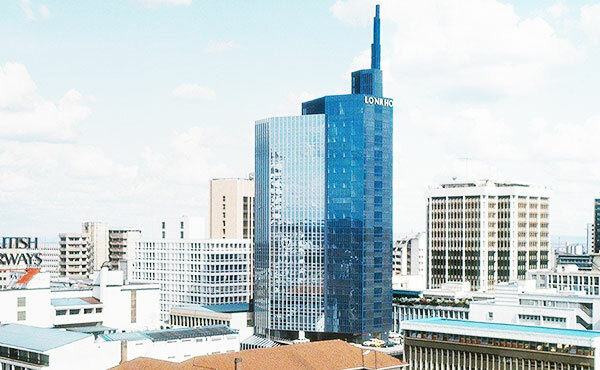 Lonrho House is a prestigious iconic landmark building situated between Standard Street and Kaunda Street in Nairobi's CBD. It has 20 storey tower commercial/office block, ground floor retail shops, 3No. podium parking levels of up to 145 parking bays, typical offices from 6th to 20th floor, typical built up area of 169,755 sq.ft.